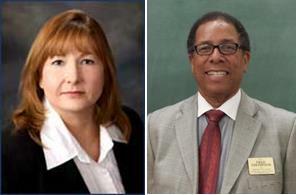 Laura Bettencourt has stepped down, clearing the way for Fred Thompson, the first African-American to be elected to the Palmdale City Council. PALMDALE – Palmdale City Councilmember Laura Bettencourt has submitted her letter of resignation from the Council. “As you know, I did not run for re-election. The decision not to run was based primarily on my current health issues and the wish to spend more time with my ailing father who is currently in a life-battle with cancer. When the court handed down its decision that prevented the seating of recently elected Council members, I remained on the Council to keep the Council at full strength. I expected a quick response from the court to resolve the on-going election issues, but it has now been over four months, and it is not clear when the City will receive a decision on this matter. Based on that uncertainty, I have decided to resign from my position on the council. My resignation is bittersweet, but it will allow me more time to concentrate on my health and get some needed rest, spend time with my father, and to allow the City Council to move forward for the residents of Palmdale,” wrote Bettencourt. Read the entire letter here. The seat that was held by Bettencourt was won by Frederick Thompson in the City’s Nov. 8, 2013 election. Due to a California Voting Rights Act lawsuit, by Lancaster Mayor R. Rex Parris and Malibu attorney Kevin Shenkman, the results of the Council seat is currently in limbo until the Court of Appeals certifies the election. That decision could happen at any time. However, Thompson’s time may be at hand if the Palmdale City Council appoints him to the now vacant seat. The issue will be discussed at the April 2 Palmdale City Council Meeting. 5 comments for "Councilmember Bettencourt steps down"
I have the upmost respect for Laura Bettencourt, she is an educated professional with a realistic sense of integrity, which is sorely missing in many politicians. In her tenure on the city council she spoke with logic, understanding and to the realities of what is needed for the city and the people of the community. She had been and by her current actions continues to be a respectful, humble and honorable person. I hope she returns to run for public office in the future, hopefully for the Board of Supervisors position when it opens up. Not only would I vote for her, I would also actively campaign on her behalf. Team Ledford wins this skirmish. My respect for Ms. Bettencourt just went up a couple of notches. .Best wishes to Ms Bettencourt and healing thoughts to her and her family.No doubt the stress of the Parris interference has been stressful for all, council and citizens. Please seat Mr Thompson, as the voters elected. Time to seat Mr. Thompson, as elected and move on, beyond the interlopers.